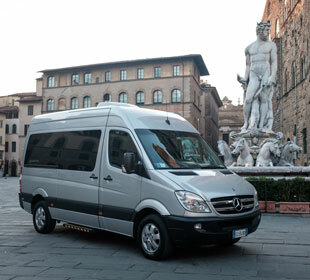 If you are a small group, choose the minivan rental with driver. 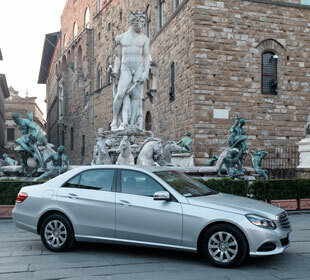 A practical and comfortable choice, where luxury and prestige that we propose for our minivan rental with driver service in Florence is mixed with the possibility to use a wide space, both for passengers and luggage. 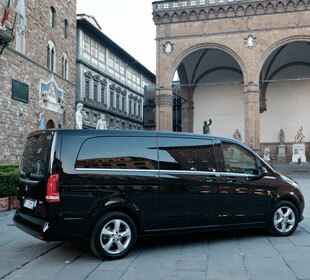 Mercedes Viano is our minivan. The decision of introducing this type of vehicle in our fleet is based on the very good quality presented, the first-class design and setting for all the six seats. Travel in the minivan will be like moving on the road while sitting comfortably in a living room. By booking this minivan rental with driver you will get the chance to turn a transfer into a trip (for a maximum of 6 travelers), guided by a qualified and professional English speaking chauffeur. 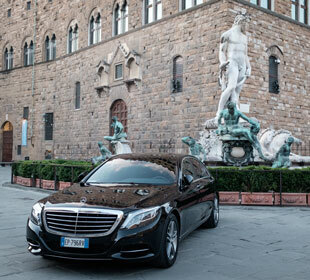 Book directly online your rental by using the form or request specific information emailing us or asking for your requests at the desk located inside the Florence airport Amerigo Vespucci. Our mission is to move people in comfort, which is why we want to fulfill your wishes by drawing customized services.